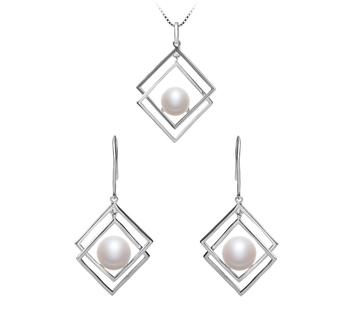 The smooth and flowing geometric style of the Hiriko pendant offers clean straight lines that are aesthetically pleasing to the eye. 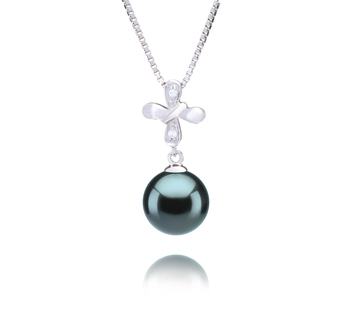 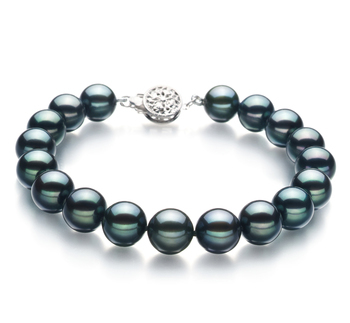 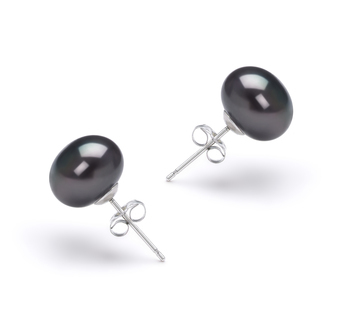 Like a swinging pendulum, the lustrous black, freshwater pearl hangs from two silver bars. 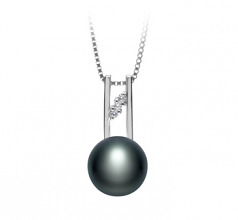 Three clear crystals run diagonally above the AA grade, 9-10mm pearl and lend some eye-catching bling to this classically modern pendant. Pair the Hiriko pendant with a silky, slimline dinner dress or wear with a formal business suit. 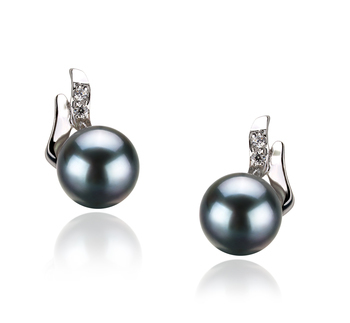 Pearls are the ultimate conservative accessory, and you can’t go wrong by wearing them for business or a social function. 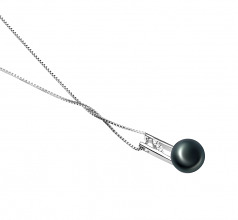 Whatever you wear it with, the Hiriko pendant is always classy and stylish. 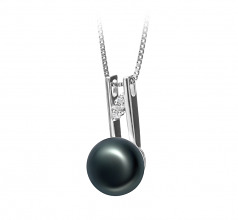 The timeless styling of this pendant delivers a hypnotic and sensual look with its high-quality design that delivers a little bit of Hollywood combined with a modern touch. 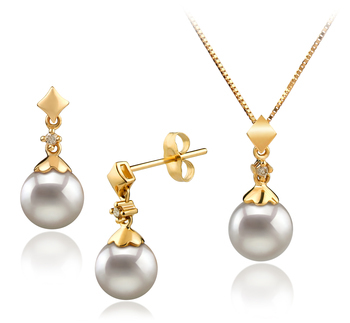 Show only for "Hiriko Pendant"